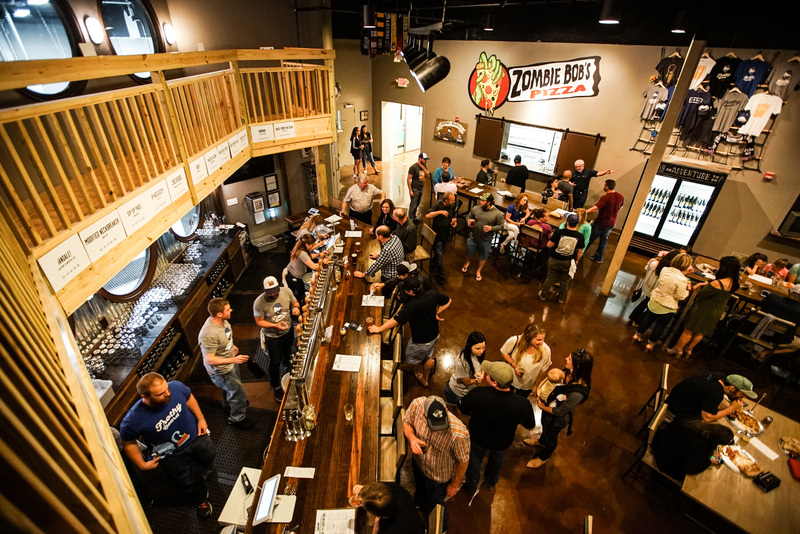 Zombie Bob’s Pizza is a Charleston-based pizza restaurant that is known for their beer infused sourdough crust recipe. 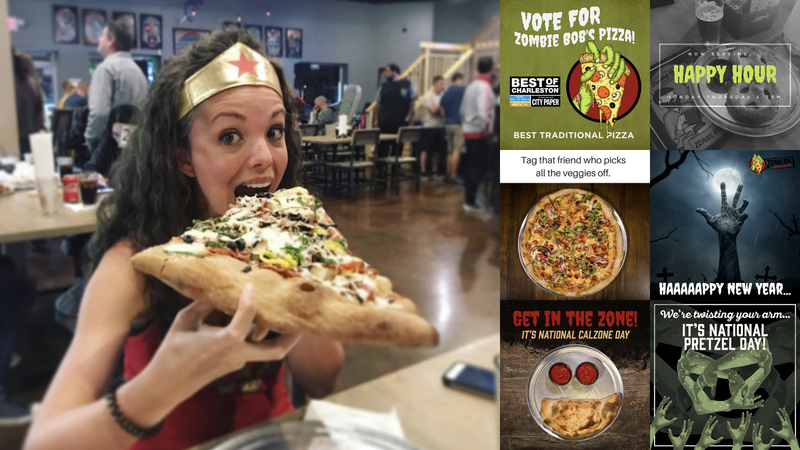 Their marketing strategy is word of mouth and a heavy social presence to connect with their customers. AR filters are extremely popular with their audience, they are highly shareable, and AR filters support their social and mobile first strategy. 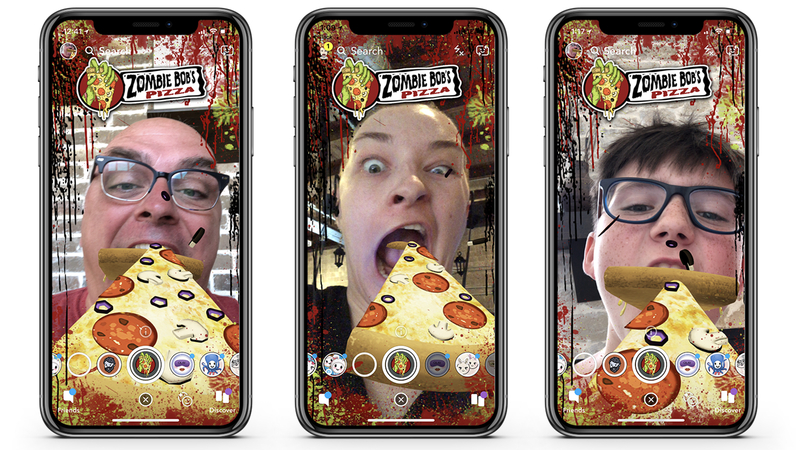 Because of this approach, they worked with Groove Jones to create a fun social share AR filter on both Snapchat and Facebook. 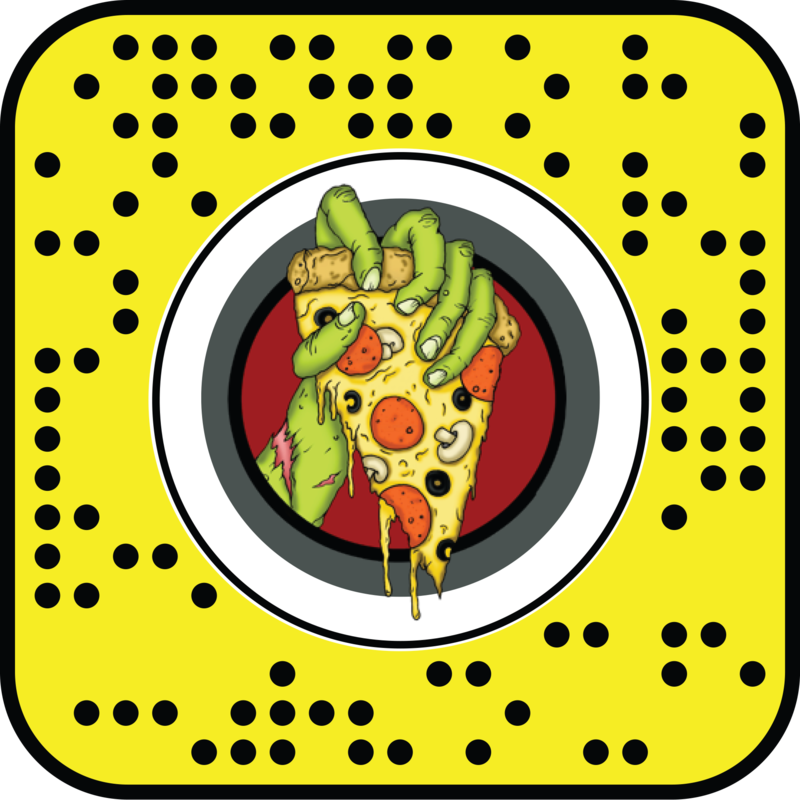 The filter displays a fun and gruesome splatter effect and a never-ending animation of pizza slices flying into the customer’s mouth when they open wide. 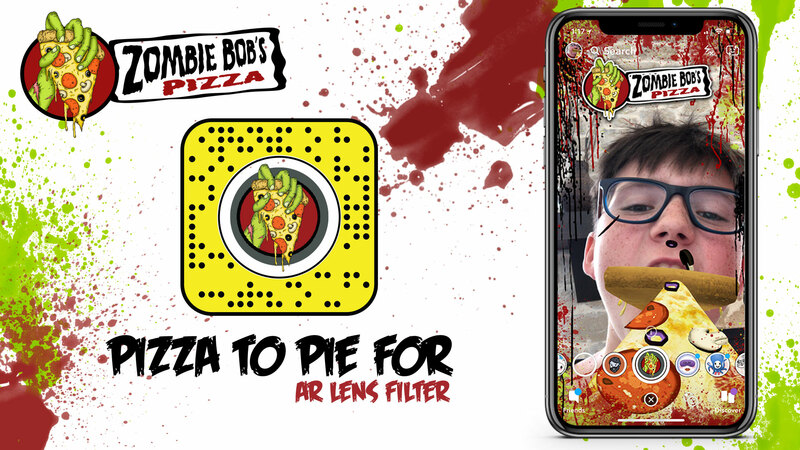 The AR filter can be found on the social platforms and can be activated by scanning in QR codes or Snapcodes found on table tents and printed materials on-site.